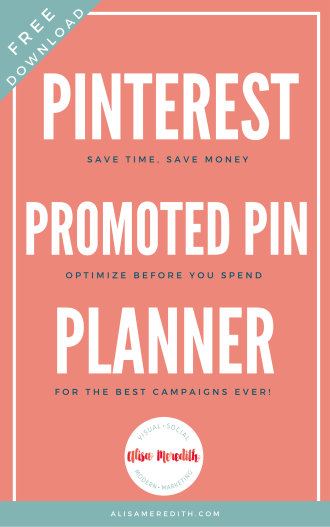 Thinking about running a Promoted Pin campaign? Great! 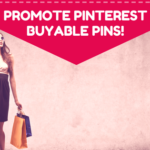 You can get lots of traffic and even long-term boosts in traffic from Promoted Pins. To get the most from them and all the new targeting features that are available, there are a couple of things you should do first. Now, I know it’s much more fun to just get right into promoting something and watching what happens. But, if you get yourself a cup of tea and settle in for 15 minutes, these few little housekeeping items will open up a world of (money-saving, results-boosting) possibilities you wouldn’t otherwise have. Trust me – you’ll thank me later. That’s it! 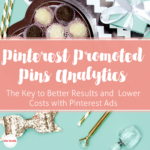 Now you can access analytics and run Promoted Pin campaigns. 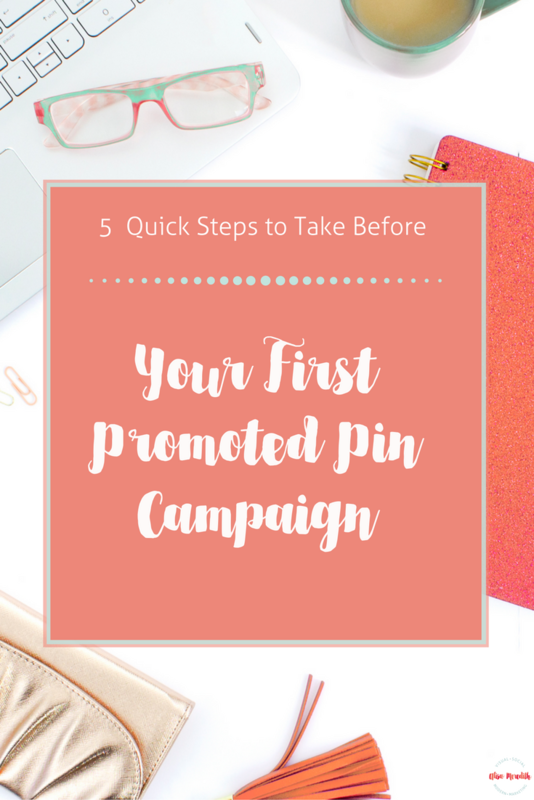 Technically, you need not go any further in order to run a Promoted Pin campaign. However, your targeting options (and your success) will be limited, so keep going! Someone else pinned this, but you can see it is something I wrote! If you want to see what people are saving from your website in analytics (you do), confirm your website. You’ll also get a little extra branding on pins saved from your site. 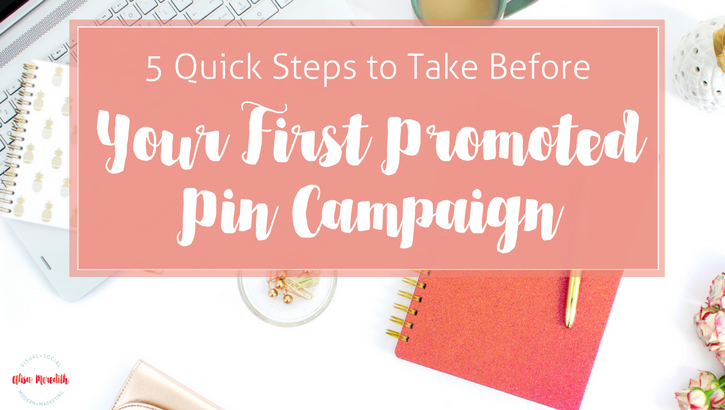 The compelling reason for doing this before you start promoting pins is that you’ll be able to target people who have engaged with pins that go to your site with an Engagement Audience! Add it to the <head> section of the index.html file of your website before the <body> section. Go back to Pinterest and click Finish. There’s another method you can use here if you prefer to upload an html file. Install a base code to every page of your site that you want to track. 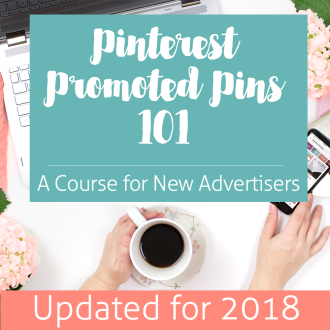 That way you’ll be able to target visitors to your site with Promoted Pins using a Visitor Audience. You can track people who go to one page, one of a list of pages, one page and not another, or any page. To access your Pinterest tag base code, go to the Ads dropdown at the top of your account and select “Conversion tracking” from the dropdown. Select “Create tag.” You only need one tag/base code across your entire website. Name your tag. You can change the name of this tag later without having to modify your website’s code. Insert the code on your website between the <head> and </head> tags in HTML on your site. This should appear on every page. 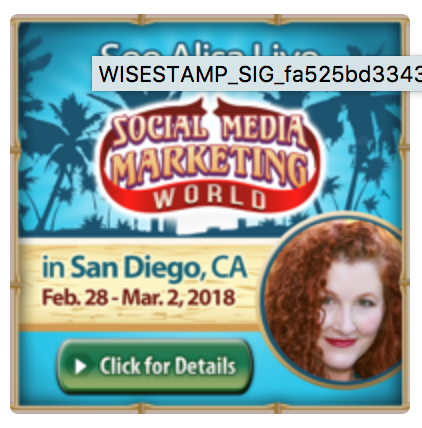 If you want to target Promoted Pins to people on your email list using a Customer Audience, you’ll need to upload a .csv file containing just one column – email address. 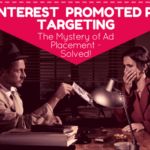 Pinterest will then look for users matching those addresses and you can target them! This opens up so many possibilities to target people who already know, like, and trust you. AND, if you segment your lists (ie., “people who love motorcycles” vs “people who love convertibles”) you can do an even better job of serving up content pinners won’t be able to resist. Log in to your email provider and download a list of your contacts. Either save it as a .csv file or open it as .xls and convert it. In either case, you’ll need to open the file, remove all columns except the “email address” column and save as a .csv. Give your audience a name. 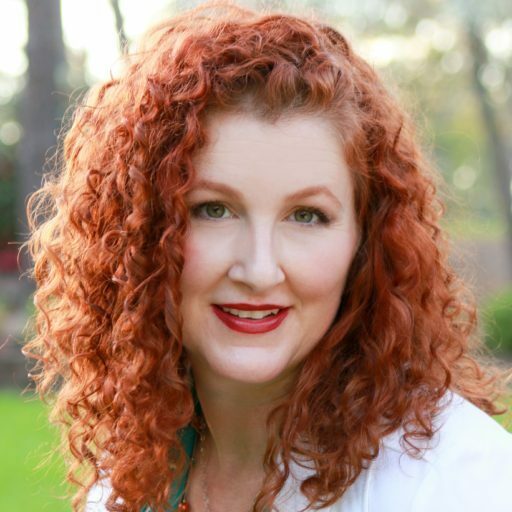 You’ll want to include the date of the upload so you’ll know how accurate your audience is. 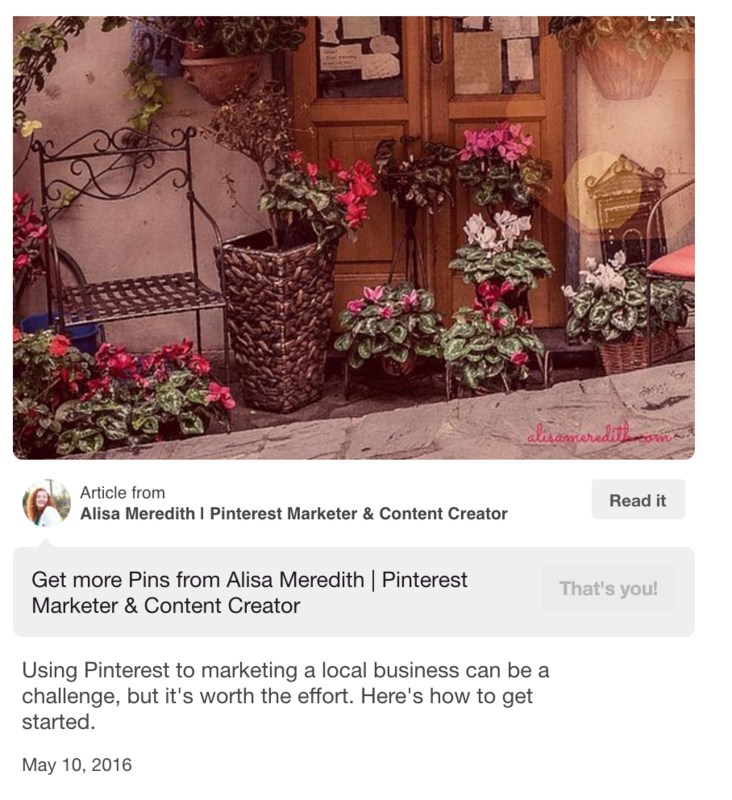 Give Pinterest some time to match your list up with pinners. As long as it finds at least 100 matches, you’re ready to go! Unless you’re going to hire a developer to set up event tracking for you, you’ll probably want to use Google Analytics and UTM codes to make sure your ads are providing value. Here’s how you can do that. 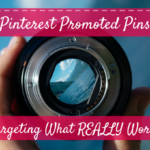 If you use the conversion tracking code or you upload you email list to Pinterest, you must add a notice to your site and give people a way to opt out. More information. Next week, we’ll discuss how to determine what you should promote! Rather have me do it for you? Happy to! Just contact me and we’ll get started. 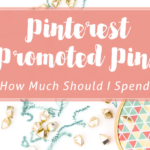 How Much Should I Spend on Pinterest Promoted Pins? 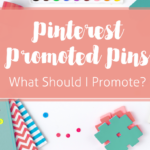 Promoted Pins – What Should I Promote?